The Newfoundland Winter List Breaks 140! A Clay-coloured Sparrow photographed at a feeder in Lumsden and reported today brings the Newfoundland winter list to 140 species – not only a great number for the first half of January, but only the second time we have broken that milestone tally since I started keeping the list seven years ago (and maybe ever)!! 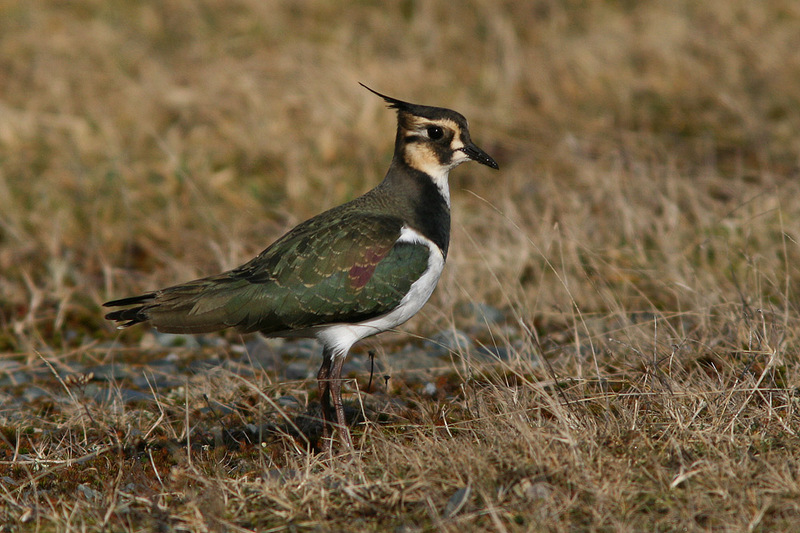 Northern Lapwing occur on a regular basis in Newfoundland – something no other place in North America can claim. This one was at Portugal Cove South in December, 2010. We’re well on the way to an excellent tally – but can we break the record of 150 set two years ago, during the exceptional winter of 2010-11?? That was a very special winter for sure, including rarities from all over the continent and from “across the pond” in Europe. Harsh weather in western Europe during early December 2010 sent a rash of trans-Atlantic vagrants our way, including a handful of Northern Lapwings, a Common Chaffinch, at least two (and probably several more) Common Snipe, a very exciting Jack Snipe, and three Redwings. 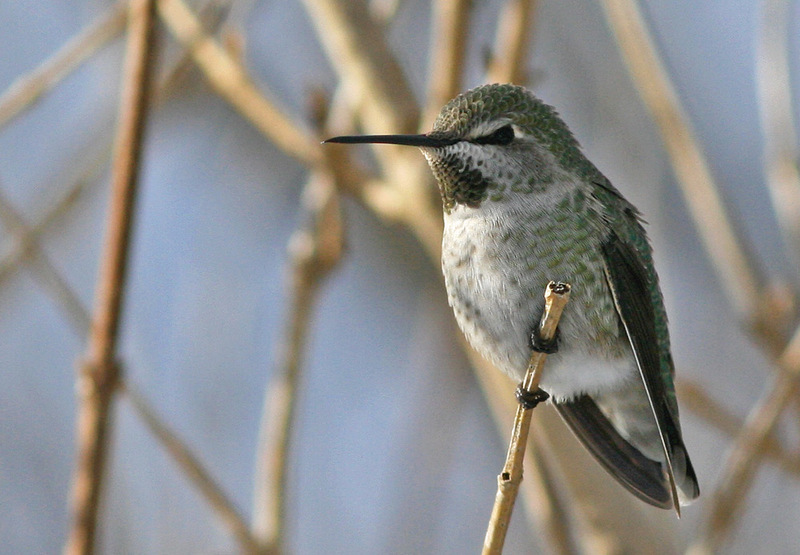 This Anna’s Hummingbird was one of the amazing records that highlighted the incredible winter of 2010-11! It was a first provincial record and survived frigid temperatures well into February at a feeder in Brownsdale, Trinity Bay. Mid-winter storms tracking up the eastern seaboard were the harbinger of large numbers of Killdeer, higher than usual numbers of American Coot and likely led to the arrival of a very wayward Common Gallinule. Rare gulls included the province’s second record of Black-tailed Gull, as well as the rare but somewhat more expected Yellow-legged and Slaty-backed Gulls. The star of the winter, however, arrived from the very west cost of North America – a tough little Anna’s Hummingbird that managed to survive at an incredibly maintained feeder until early February!! It seems that such a winter would be tough to beat. However, it is worth noting that even then the winter list tally was just 132 on January 14 2011 and didn’t break 140 until early February – well behind the pace of this winter, which has seen a number of excellent records already (think Pink-footed Goose, Brant, American Woodcock, Marsh Wren, and a record 11 species of warbler!!). 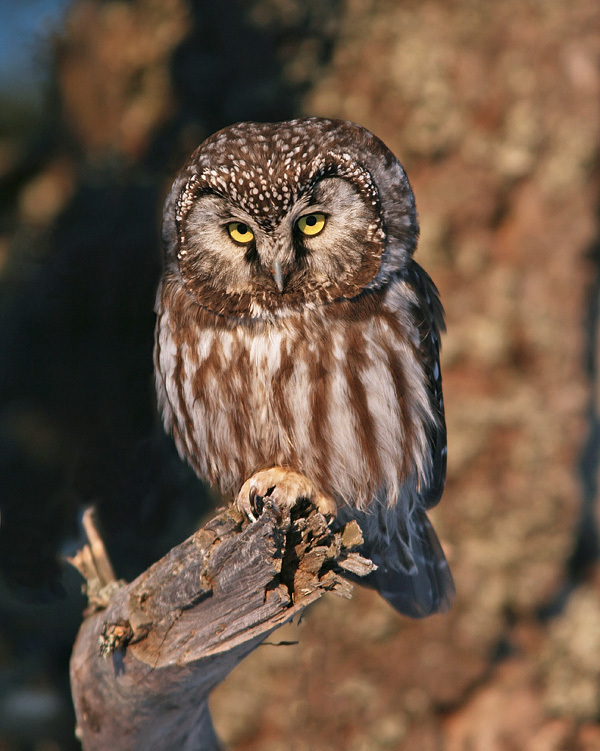 A few expected species, like this Boreal Owl, might help this year’s winter tally break an amazing record of 150 set just two years ago!! A number of more or less expected species are still on the missing list – Rock Ptarmigan, Bonaparte’s Gull (a couple “possibles” reported), Boreal Owl and Cedar Waxwing. Other species that often get recorded during winter are Sanderling (getting late for that), Gyrfalcon and Northern Three-toed Woodpecker. And of course, we’re still missing the otherwise rare Yellow-legged and Slaty-backed Gulls we’ve been spoiled with and come to expect in recent years. And I’m sure a few surprises are also lurking out there. So why is that this winter list is shaping up to be so awesome?? No doubt the warmer weather of the fall and early winter led to a number of unusually late vagrants such as the warblers, and a few surprise birds such as four species of geese have added some punch to the tally. But anyone familiar with the Newfoundland birding scene would also tell you that there has been an equally incredible increase in the birding activity — a number of new, very keen birders have been out in force and finding things that might otherwise have been missed while the number of feeder watchers reporting backyard birds in one way or another has also been on the rise. Kudos to them all!! Maybe that record we thought unbeatable just two short years ago is actually in reach … stay tuned!!! This entry was posted in Uncategorized and tagged Newfoundland, rare bird, winter bird list. Bookmark the permalink. Always nice to have lots of keen birders out looking!